You may order more than one veil with one submission. Please use special instruction box and type how many of what material, size and trim. 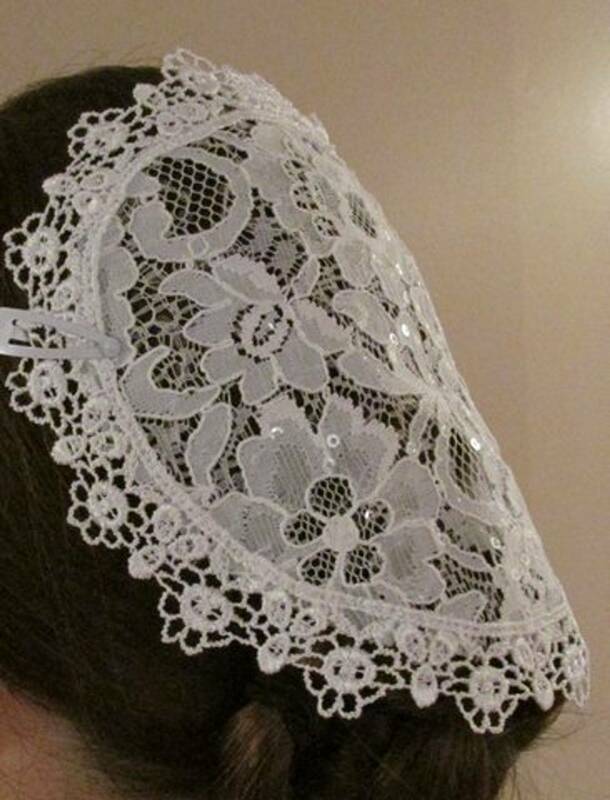 If you are wanting your veil cupped, instead of laying flat, please let me know in the "special instruction" box. NONE BLACK LACE SCARF 7" BLACK LARG FLOWER LACE SCARF 7" WHITE LACE SCARF 7" CHARCOAL KNIT SCARF 7" DAISY LACE 7" CORAL/OLIVE 7" OLIVE GREEN/PINK 7" MULTI COLOR 7" NAVY/CORAL 7" HUNTER/TAN/MUSTARD 7"
NONE BLACK LACE SCARF 8" BLACK LARGE FLOWER LACE SCARF 8" WHITE LACE SCARF 8" CHARCOAL KNIT SCARF 8" DAISY LACE 8" CORAL/OLIVE 8" OLIVE GREEN/PINK 8" MULTI COLOR 8" NAVY/CORAL 8" HUNTER/TAN/MUSTARD 8"
NONE BLACK LACE SCARF 9" BLACK LARGE FLOWER LAC SCARF 9" WHITE LACE SCARF 9" CHARCOAL KNIT SCARF 9" DAISY LACE 9" CORAL/OLIVE 9" OLIVE GREEN/PINK 9" MULTI COLOR 9" NAVY/CORAL 9" HUNTER/TAN/MUSTARD 9"
NONE BLACK FABRIC 14" WHITE KNIT 14"